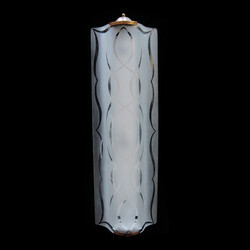 A set of four Modernst Wall Sconces. 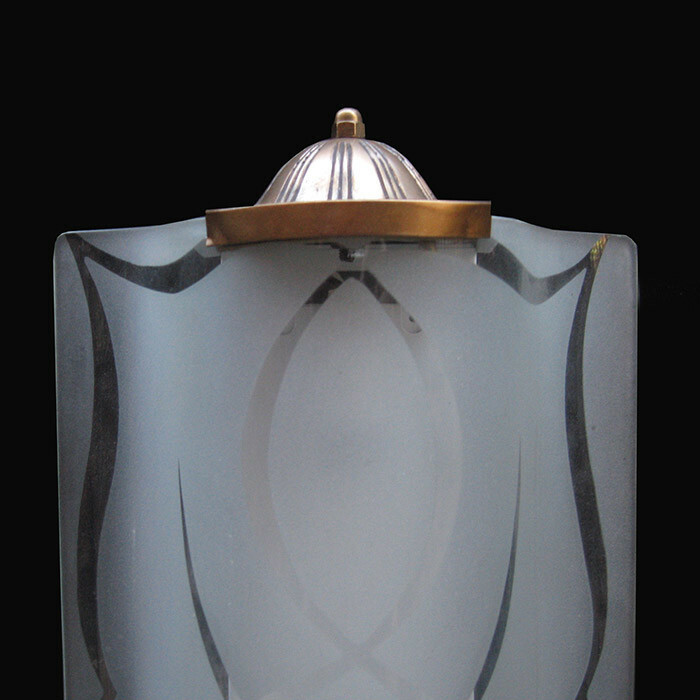 Acid etched glass shades with patinated bronze details. Dimensions: H:29 W:8½ D:5¼ Inches.